One can say without qualification that " New Scientist " magazine is the very best. Buy a single copy or subscription to New Scientist magazine. 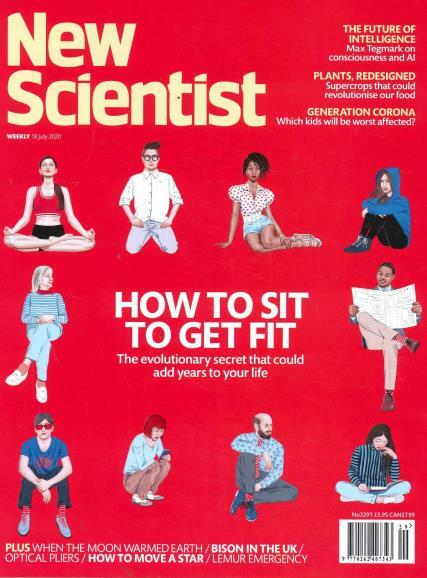 If you are after the latest scientific and technological news, innovations and ideas, then a New Scientist magazine subscription will keep you busy! We live in an ever-changing world filled of science, this can mean from the wonderful, the worrying or the really weird. This publication is the world´s leading science and technology weekly magazine. Featuring in-depth articles, cogent analysis and informed, entertaining comment, New Scientist is essential reading if you really want to get behind the headlines. If you are looking to get a new job in science, then this magazine will help you find what you are looking for as it advertises from all over the world. Founded back in 1956, it is read by both scientists and non-scientists, as a way of keeping track of developments outside their own fields of study or areas of interest. Every issue regularly includes features, news and commentary on environmental issues, such as climate change. More in-depth than many other popular science magazines on the market but still eminently readable for the lay person, New Scientist is always a thought provoking and engaging read. Fantastic articles explore all areas of science but also place developments within a wider social and economic context, helping us to understand and imagine what the future might hold for us. Also includes the much imitated but never bettered Last Word, where readers answer various curious questions, such as 'Why does the colour of facial hair appear to change during the growth of a beard with a mixture of irreverent wit and creative insight. Overall, an entertaining read for those who are curious about the world around us. Lindsey Amis New Scientist; This magazine, in my opinion has to be one of the most interesting mags available. It is full of diverse subject matter, it explains the science behind things happing in our world today, including Health, the environment, space and Physics. For a non-techie person I find the articles explain things in an interesting understandable way, even my eight year old uses some of the articles to help him with his school work. An amazing factual mag that is well worth the annual subscription. What a fantastic magazine! Intelligent but easy to read. Great coverage of environmental issues. I used to buy it occasionally in the shops but I am so hooked up now that I have decided to subscribe.